Chest freezers or deep freezers are great for storing all those great deals you got at the meat market or to freeze all those veggies you toiled all summer growing, but they can quickly become cluttered and some of the best foods can end up in the abyss, knows as the bottom never to be seen again. If your freezer is really full because things have been added on top, then one of the best things to do is to feed yourself and your family from whatever you find on top for the next week or so until you can get further down the freezer. This is the easiest way to organize your freezer. This makes the task less daunting, and also you can get creative as to what you will serve for meals for the next week or two with whatever is on top. So skip the takeout pizza for a week or two and eat through your deep freeze. In the meantime here are 3 ways to get organized and run that freezer as efficiently as a well oiled machine with no wastage or spoilage. I thought this was the coolest idea yet. This is what I am going to do with my freezer. Now it all depends on the measurements of your deep freeze but these bins have handles and can stack. This way you could sort your products into each bin and lift one out if you need the one underneath. Check out the video below to see how this freezer owner organized hers using these smaller blue recycling bins which you can get online or at local home improvement stores. 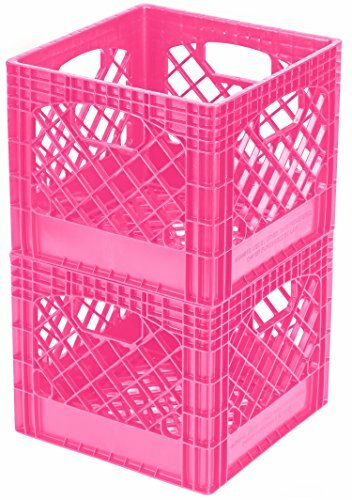 I love the idea of the handles for maneuvering your bins. You could fill one with chicken products and another with beef and another even with fish or veggies. Nothing will get crushed. But to get to this point you need to get cleaned out. So if you finally created enough meals to use up some meat and other products, then take an afternoon and maybe put on some gloves (it gets cold handling frozen foods!) and quickly take everything left out of the freezer. Vacuum – This is the easiest way to get rid of those crumbs and burst bags of frozen veggies that ended up at the bottom of the abyss! It doesn’t take much for those plastic veggie bags to rip or the meat wrappers to come off when you keep rummaging in there and this is a waste of time and money. Freezer burn ruins meat and this can happen when the wrappers come off or it has simply spent too much time at the bottom of the freezer. If yours is the type that needs to defrost then do it now, or unplug it and clean off the snow! Throw It Out – If you don’t recognize the package or it is more than 2 years old, simply throw it out, especially if it is from the very bottom of the abyss. Once you get organized this type of thing will not happen again. The idea is to save money not to waste it, so you are doing a good thing right now! 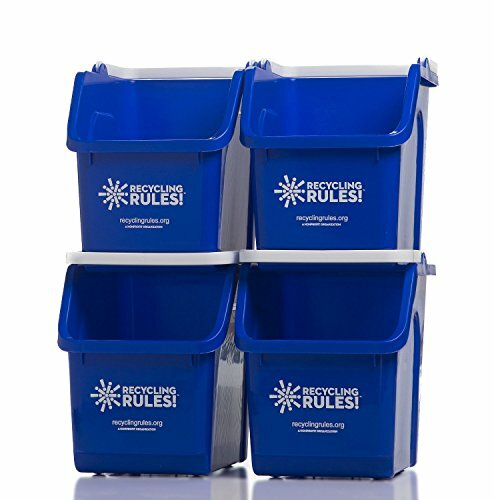 If your freezer is small or maybe a square chest freezer, you may not be able to fit those blue recycling bins, but you want something stackable and strong that will not crush the products below. You want something that is easy to take out and put back in when you make your purchases and wish to put “same with same”. You want to be able to take them out quickly and then put them back. 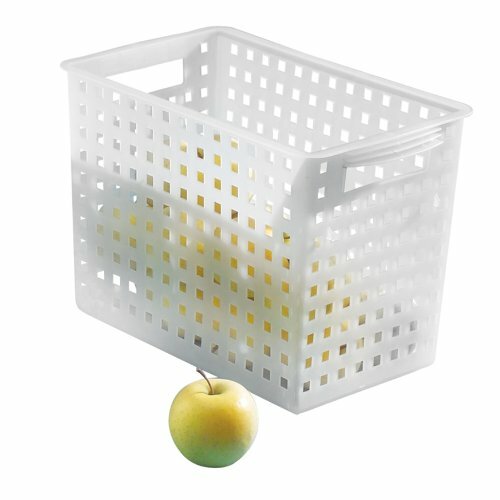 You want to be able to organize each basket efficiently and see at a glance what you have and what you may need. This way you don’t double up unless there is a good deal. Date Everything - Have a freezer marker near the freezer to quickly write the date on the package so that when you reach in for some pork chops you use the oldest ones first. This keeps your system working well. 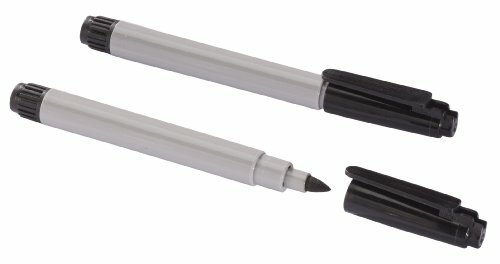 Have the marker on a string nearby hanging from the wall or tape it with duct tape to the side of the freezer. Many grocery store labels tend to frost up and it can be hard to see the date, so get in the habit of writing it on before you put the items in. These freezer markers do not bleed or run when they get wet. 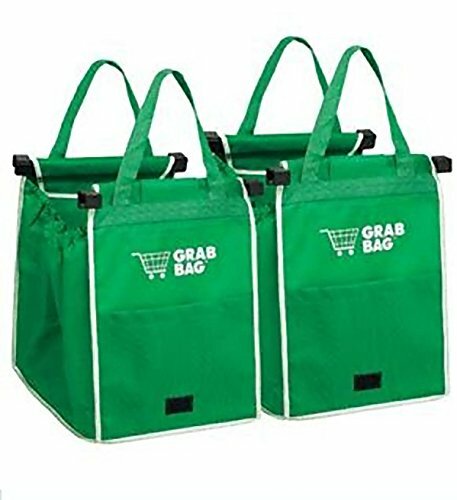 If you don’t like the idea of baskets or bin, you could also use strong cloth reusable shopping bags and organize the different meats in these bags, this works great for freezers that are not too big or deep. You can line the bags up side by side making it easy to access them. Just remember you need to date everything so that when you take something out for dinner you take the oldest first. You could simply pull the bag out and go through it and then put it right back. I got rid of the flimsy basket that came with the freezer, and decided to work with blue bins, but you could use anything that stacks or bags side by side. Once you have cleaned and organized your small chest freezer, it should be easy to keep it that way. No more crushed loaves of bread or open veggie bags. If you tend to freeze very small quantities you could also head to the dollar tree and check out their supply of stackable containers. They sell those milk style containers that would stack as well especially if you were not putting too much weight in them. Once you are finished you will actually enjoy getting things out of the freezer and no more wasted money. Good ideas with the stacking bins. There is nothing worse than everything tossed in together and the thing you want it always at the bottom. Putting dates on packaging is very important that for sure. The stacking bins I think are the best way to go, as I have experienced having something I wanted under pounds of meat at the bottom of the freezer! Thanks.